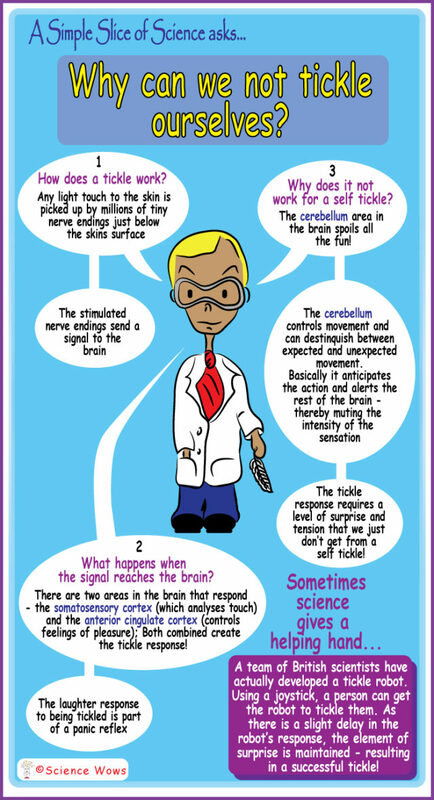 A simple slice of science – Why can we not tickle ourselves? This week Dr. Simple answers a great question that came in from “Office Mum”… Why can we not tickle ourselves? So go on, admit it…. how many of you tried to tickle yourself while reading this??? That’s all from Dr. Simple for this week but please keep the questions coming… what would you like answered on A Simple Slice of Science?